I've got SuperPro bushings at both locations in the front control arm. 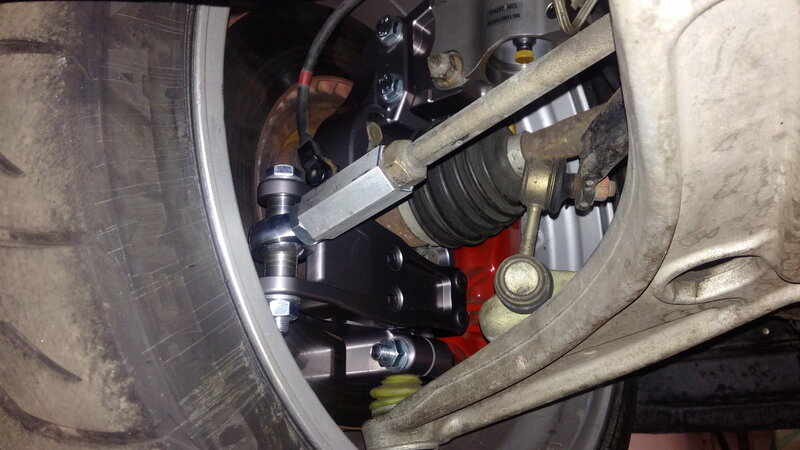 The rear bushing in the front control arm is the offset SuperPro Duroball. I have a thread in this forum describing my experiences with these bushings. Vehicle rake is an important part to the caster gain. Too many people go for the raked look, and a lot of caster is lost. I'm sure its easy to give up 0.5 deg of caster with the classic raked Evo look. 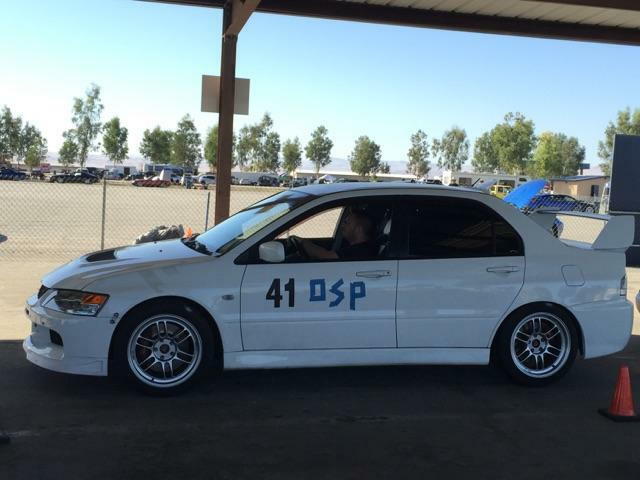 My Evo has around 1.25" gap between tire and fender at front and ≤0.25" gap at the rear. Its not a bad-*** look, but I get my caster. I don't think 7° is unrealistic. I'm at 5.5° with SSB tophats and custom LCA bushings (have about 1.5mm more offset than the PSRS) and am about 1" of rake. Stock is around 3.5deg, offset bushings tend to add about 1deg, my 20mm offset tophats add 1.65 deg, that puts you at 6.15-ish. Then you an add some car variance, maybe where you have the subframe positioned, and rake. I could see +/- 0.5deg from there for sure. So what height from center of axle to fender are you running normally? I'm at 13.75" front and 12.75" rear. Its a very streetable height. I still have to be a bit careful on very steep transitions, but generally I can negotiate driveways normally. Front fender is 0.75" higher than the rear. I guess the front wheel looses about 0.25" due to more weight on the front tires. Fenders are completely stock. I can measure the height under the skirt if you want. Last edited by mrfred; Dec 25, 2018 at 11:09 AM. Front fender is 0.75" higher than the rear. I guess the front looses about 0.25" due to more weight on the front tires. Fenders are completely stock. I can measure the height under the skirt if you want. Oh, no. That's perfect, thank you. So then, I can measure the fenders, and look for a 0.50" difference. All without laying on the ground. I can then confirm from under the car, after I get it where I want. I already have a homemade plumb bob that will work great for this. Last edited by kaj; Jul 23, 2018 at 12:35 PM. Should I have not installed the Whiteline ball joint? Its fine to use them. I have them on my Evo too. They add a little more correction. whiteline front roll center correction= good. Whiteline Roll Center Correction kit....Help Please!